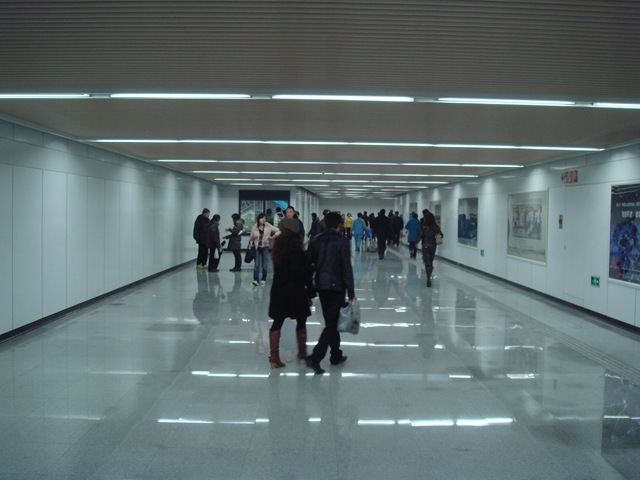 Shanghai Metro People’s Square Station is the first transition station in Shanghai Metro System. 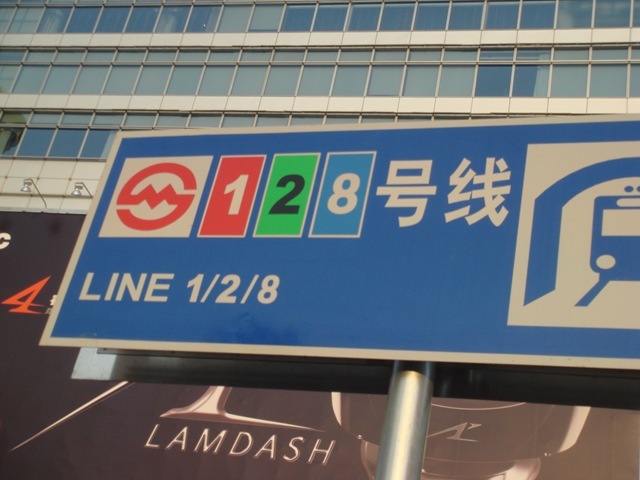 Once upon a time, there is only one metro line in Shanghai when I arrived in this city, and it took many years for the Metro Line #2 to be constructed and opened. Then the Long Transition Tunnel of the Metro #1 and #2 became the memories of many people – it was really long. From the Metro Line #8 platform, clear directions hangs on the top of the elevator entrance. The Metro Line #8 is much cleaner than Metro Line #1 and #2 anyway. This is the transition hall. It is pretty high. Most people stay in the bottom of the hall. For those people who want to exit, climb high to get to the ground floor. This is the view of the transition hall. The right of the red-lined area is paying-area – passengers with tickets, and on the left is out of the station. Look at this: This is pretty amazing. Instead of just one elevator, they have 3 elevators moving people from the bottom of the transition hall into the deeper hall into the earth. There are another three moving people up. With the new transition hall, the old Long Transition Tunnel was closed. Can you imagine that before, all the traffic from #1 to #2 comes out of this long transition tunnel – just some small closed gate? Below is the roof of the transition hall – with sky visible. Outside the stations, direction signs have been updated to have the three lines there. New Tunnel from Metro Line #8 to Raffles City. Below is the old tunnel from Line #1 and #2. This one and the above one are parallel. If I were you, I will try to use the tunnel for Metro #8. At the end of the tunnel, there are three directions – Line #1, Line #2, and Line #8. Above is the Line #1, and below is Line #8 Hall. Obviously, the newer one is better, cleaner with fewer people, although they are just one wall in between, with many gates on the wall. Below is the complicated transition map that I don’t think anyone can really understand. It seems very high-tech though. People’s Square Station is not my favorite one – my favorite transition station is Metro Century Avenue Station, and South Xizang Rd. Station. However, it is maybe the most complicated station. I am happy that it is finally transformed to be a much better station than before. 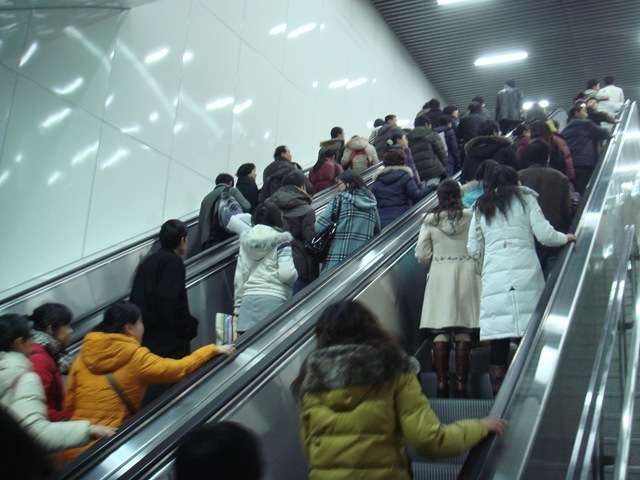 I complained a lot about the Long Transition Tunnel – the big curve in the diagram blog linking top floor, to the bottom floor, until I saw the transition plan between Line #2 and Line #13 in Beijing. Now, with the close of the long tunnel, I don’t complain at all. The traditional Metro Train is 6 cart train (from 1995 to 2007). From this year, there are longer trains, so they put the sticker on the glasses of the door to indicate the location for the first 6 cart, and the following two – cart #7 and cart 8. 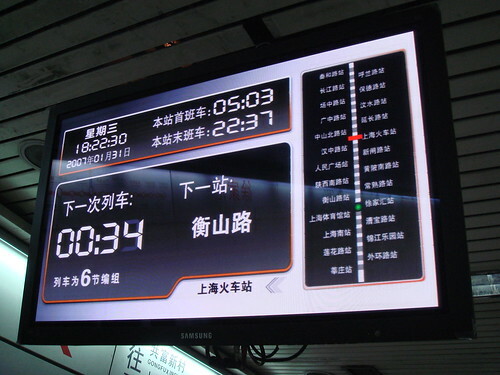 When train is approaching, there are broadcast to notify people about the number of train carts in the coming train, so people don’t need to wait before the rest of the gates, where there will be no train carts. 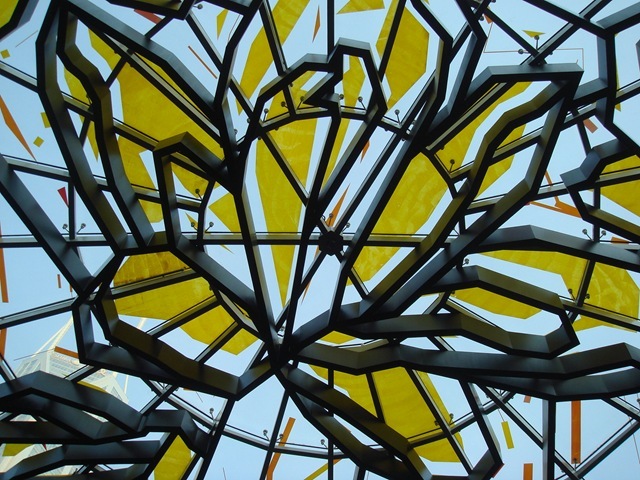 The installation was not finished yet – only the frames. It was said the main reason to install the doors is not to ensure security (it IS one of the reasons), but the biggest advantage is to save energy for the air condition. The deadline of ICP requirement past. To be more accurate, the deadline for ICP requirement was about 5 years ago, without enforcement. The winter of 2006 is jus like that. I have an abondoned domain name: http://blog.wangjianshuo.com hosted with CompanyCN. It was shutdown because no ICP license displayed on the website. There were no much real content on the server anyway, so let it be. My friend confirmed that many ISP are using automatic tools to scan all the accounts hosted by them. 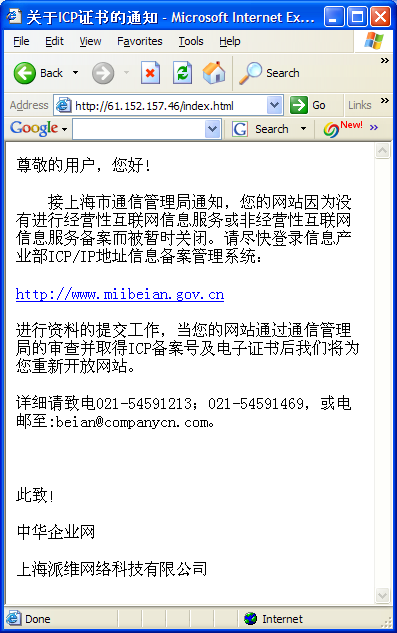 If ICP numbers are not found, they automatically shutdown the site to elimate the legal risk. I said I planned to register. I registered, and the application was pending until now. I dropped some emails via the Beian system but no reply. That means, I still didn’t get the ICP. I finally hosted all my LIVE site in U.S. I start to worry that I am using DNS in China. Maybe one day wangjianshuo.com the domain will not work. Let me plan to transfer it out first. After every three trains from Xinzhuang to Shanghai Railway Station and return, the forth train will move on until it reach the new terminal station – Gongfu Xincun and return. 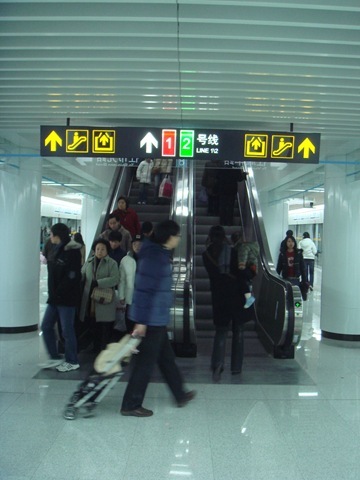 It means, some passengers need to get off the train at Shanghai Railway Station and wait on the platform until the right train (one out of four) arrives and continue their journey. 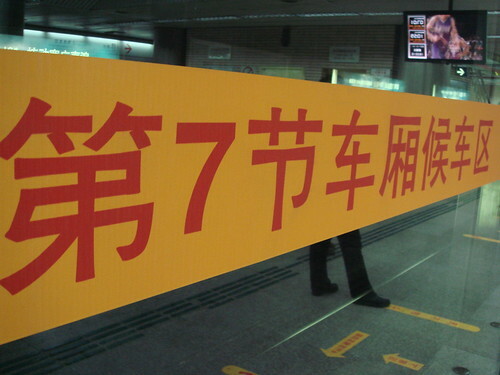 It also means in contrast of 2-3 minutes interval of Metro Line #1, the train intervals for the metro station between Shanghai Railway Station and Gongfu Xincun will be 8-12 minutes. 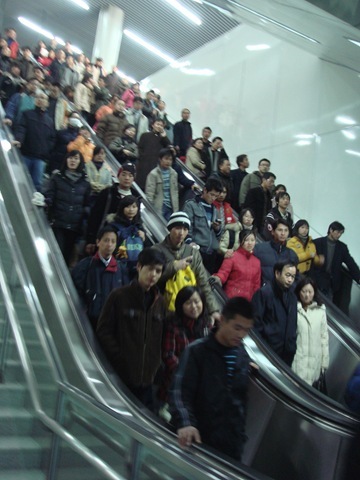 The Metro System in Shanghai is stepping into a new era – a confusing era. For the first time, the train system became complicated. The trains on the same station may go to different places. It is not as straight forward as get-on-board-and-arrive as before. Don’t get me wrong. I did mean anything bad – it is inevitable for the Metro System to get confusing when more and more stations and lines are added into the system. Let’s wait and see how Shanghai Metro face this new challenge. Due to a bug in the system, I sent out multiple identical emails to Wangjianshuo’s Blog Update distribution list before. I have paused the service for two months to fix it. Now, with the new code I wrote on top of Feedonfeeds, it is back again. You may find daily update to your mailbox again. Thanks for your patience. 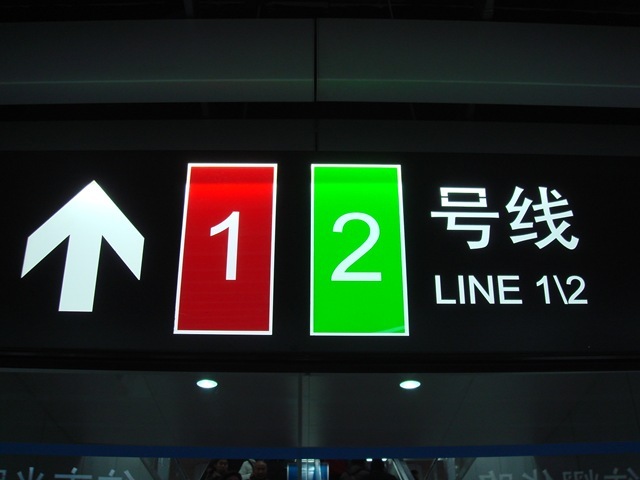 This is the third part of Shanghai Metro Line #1 (part I, part II) and is the last part. If you need to remember only one place in Shanghai, it is the People’s Square. The Bund is more famous and attractive than the People’s Square, but it is know as the center of the city. The city hall is there, so does the Shanghai government (this is very important). It is the only transition station between Metro Line #1 and Metro Line #2. 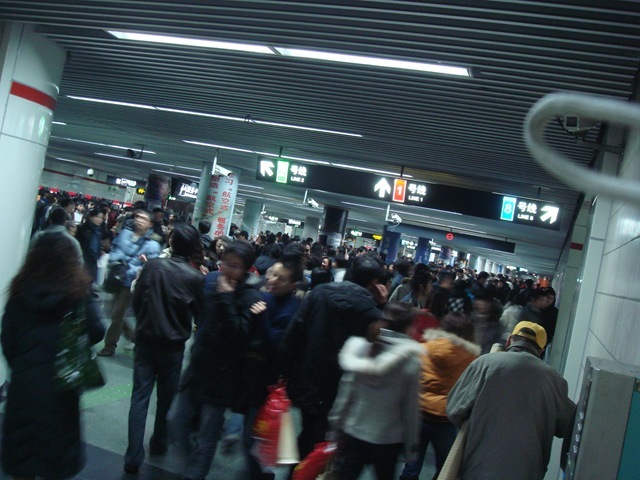 So there is no doubt that it is the busiest station in Shanghai. The Shanghai Museum, the Shanghai City Planning Exhibition Center, the Shanghai Art Museum, the Nanjing Road (yes, the most famous road in Shanghai) are all located there. I would suggest people to start the tour to Nanjing Road from this station and walking toward east. It is about 15-30 minutes walk to the Bund. Xinzha Road is at the south bank of the Suzhou River. There is nothing to see near this station. Actually, I didn’t visited this station yet. The Suzhou River is expected to be a modern area like the banks of those famous rivers in Europe, but now, it is still a gather place of the poor. Like Xinzha Road station, there is a station here, I guess, because there should be station according to the 3 km per station rule, but there are not many attraction near this station. 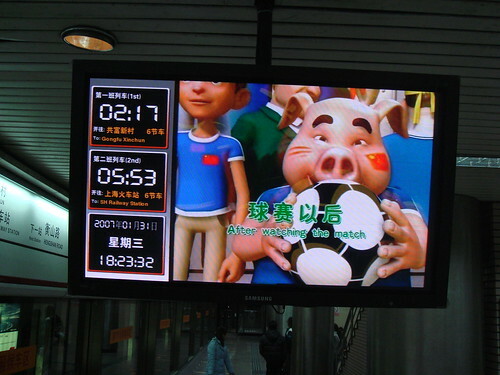 I didn’t go to this station yet, although I will always pass it when I visit the Shanghai Railway Station. 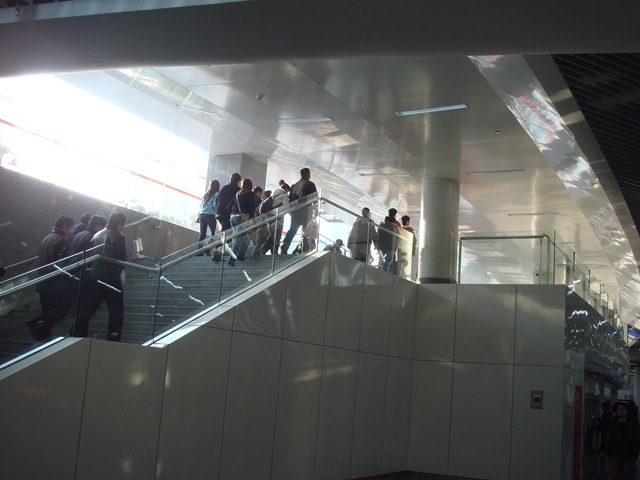 This is the terminal station of the Metro Line #1. The extension of line #1 is expected to open soon, but not now. If you want to travel by train, chances are, you will take the train at this station. It is very crowded with huge number of passengers. Please be advised to take care of your belongings carefully when you step out of the metro train of this station. Look out for thiefs and rude beggars. As railway stations in any cities or countries, the security status is below the average of the city. If you choose a hotel, avoid this area. It is the transition station to Metro Line #3. There is a very looooong tunnel to go through for transit. Oh. I finally finished a rough explanation of the 16 stations of Metro Line #1. I guess I can add more detailed information to these pages later. The Metro line serves as a route to chain the important points of the city and I hope by describing the points, readers can get some idea of the city. Well. Let me continue to follow the Metro Line #1 to visit the other great stations. 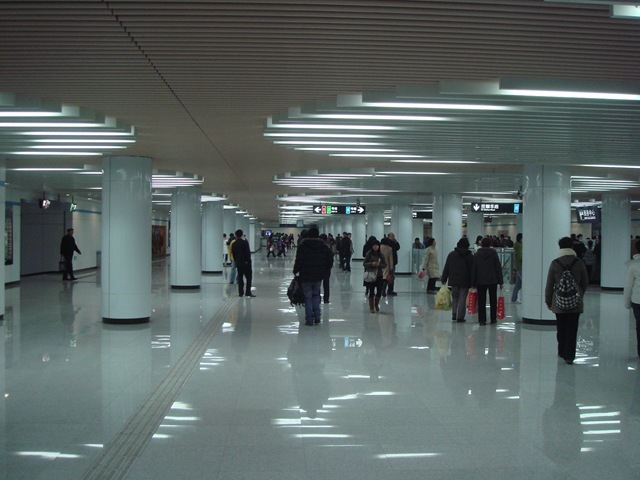 In my last article, I have introduced the Xin Zhuang – Xujiahui Station. Now, we will go northward to the Heng Shan Road. Station. Hengshan Road is the bar street. It is the place where lots of consulates of many countries – such as U.S., Canada, Japan, Singapore. There are many bars along the street. Although the Xintiandi has taken the best bar area title from Hen Shan Road, it is still a nice place to visit at night, especially for me who works in Xujiahui. Hengshan Road is also one of the most beautiful street in Shanghai with the nice phoenix trees along both side. 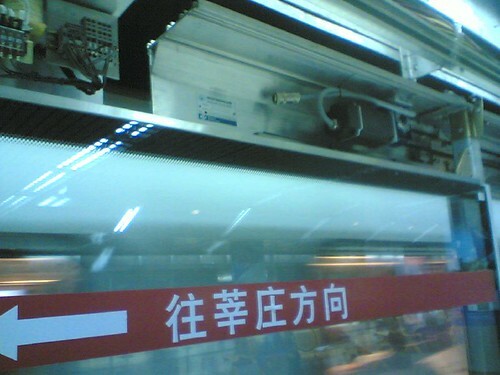 At the time of this writing, experimental automatic door was installed in the Metro to save some engerny. The Shanghai Community Church is at #53 of this road. The Shanghai Library is also nearby. Is there any reasons I visit Changshu Road. Station? Maybe because it is the starting point of Huaihai Road. Huaihai Road one of the most important road in Shanghai with all kinds of fashion stores and department stores. It is a long road. The Huaihai Road main refer to Huaihai Zhong Road, or Huaihai Middle Road. It started from the Changshu Road. Station till somewhere near the Bund. If I have enough time, I will start from the Chang Shu Road. Station and walk eastward, so I can see the whole road (and the stores along the road). Shanghai Conservatory of Music is at this station, but I didn’t visit it. I have once bought some music instruments for my friends there. There are no large shopping mall or places of interest nearby. Wow. This is THE station. The Huahai Road between South Shanxi Road and South Huangpi Road (the next station I will cover later) are the busiest and most exciting part of the whole road. 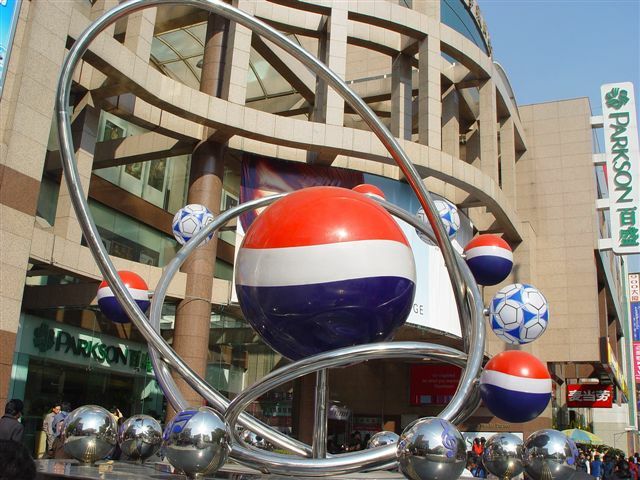 The Parkson Shopping Center is just at the exit of South Huaihai Road Station. (Check “Sunny Saturday” to see some pictures around the area). It is interesting that according to some newspaper, 40,000 people will meet at the exit of Parkson shopping center everyday, since it is a perfect place to meet and go to other places together. I don’t know if the source is accurate but I personally guess it should be so many people – I always use this place as the meeting point. The Garden Hotel, the Lanxin Theater is at the east-side exits of this station. Another reason why this station is so crowded is the Xiang Yang Market nearby. 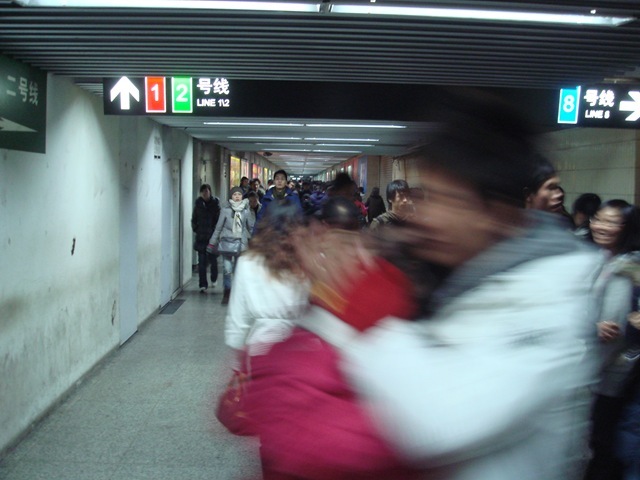 The Xiang Yang market is about 100 meters away from this station, so the sidewalks are so crowded and some readers have warned of stealing on the street and in the market. Huangpi Road is the decent area left from the old Shanghai. The Pacific Department Store are at the exit of South Huangpi Road Station. The Hong-Kong Plaza and many other business buildings and shopping malls are located here. I would suggest this station to be a must-see for any visitors to this city. The Xintiandi is about 500 meters away from this station. 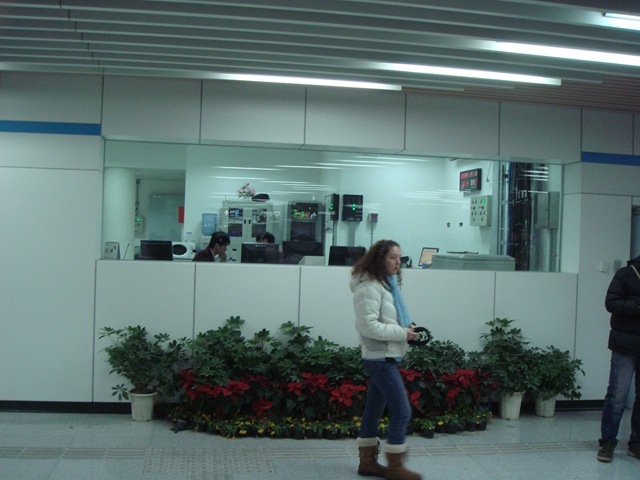 In this series of article, I want to give personal comments to the Metro Stations along Shanghai Metro Line #1. 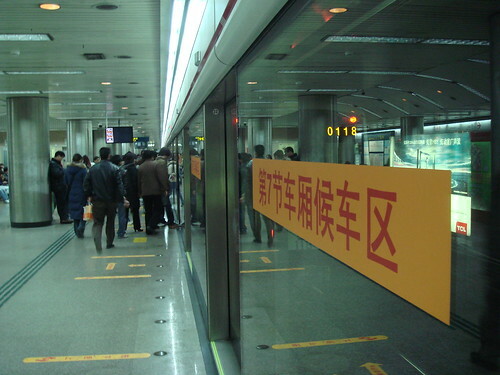 Xin Zhuang is the south-most stop of Shanghai Metro Line #1. 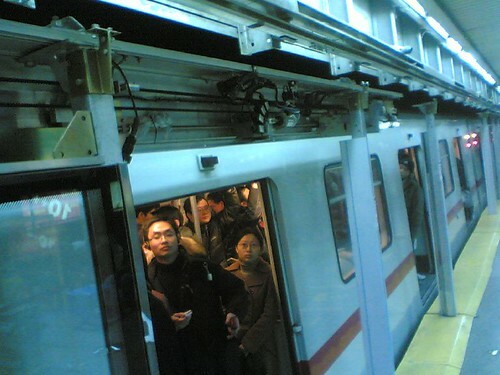 It is also the starting station of Shanghai Metro Line #5 (or Xin Min Light Rail). There is no in-station transition between the two lines. You have to exit the Metro #1 and buy separate ticket for Metro Line #5. There are almost no commercial facilities around that area right now. But it became one of the most populated area for residents for the convenient transportation but relatively lower price for apartments. Massive residential buildings were constructed near that station, and extend to the Lian Hua Road. Station. Like Xin Zhuang, The Waihuan (Outer Ring) Road Station is mainly a residential area. Seldom does passengers go to this station if they do not live there or don’t have a friend living there. I lived near this stop for around 3 years. My first rented apartment at Meilong is near Lian Hua Road Station. It is the first stop with full commercial facilities along the Metro Line #1. The Friendship Shopping Center, the HomeMart are located there. Within the shopping malls, Starbucks, McDonalds, Hagen-Daze can be found. These shops are easily found at downtown, and Lian Hua Road is the first Metro Station from the south to have these facilities. This stop was first named Jin Jiang Park Station, and then rented to Hong Mei Road Station. After a while, it is renamed back to Jin Jiang Park Station and finally, changed back to Hong Mei Road. Station. It is interesting. 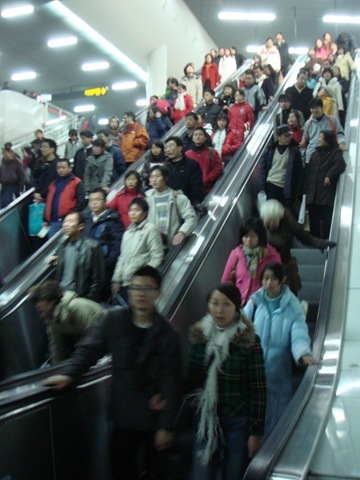 Since this station is the transportation hub, with the Hu Min Elevated Road and Middle Ring crossing there, it is the most noisy and crowded stations along the Metro Line #1. The Metro wholesale shopping mall is there. When the Shanghai Southern Railway Station is under construction, passengers should get onboard the trains to Hangzhou from this Metro station. 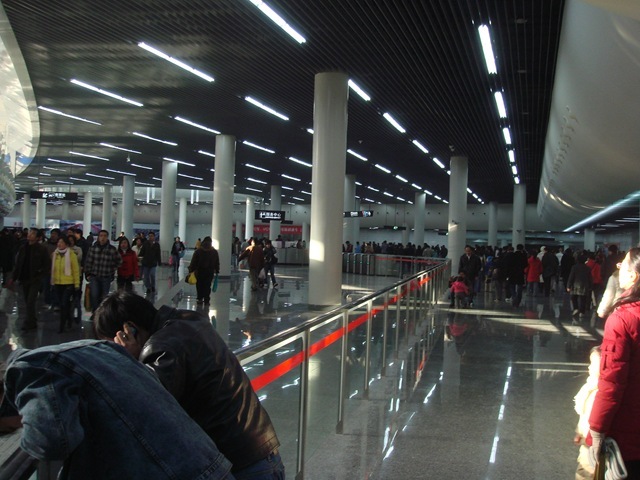 The South Shanghai Railway Station will be a huge new station. It is expected to open soon. 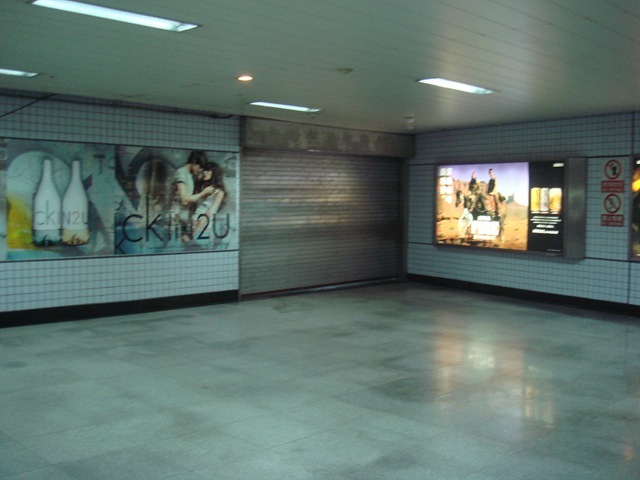 This Metro Station is closed at the time this post becomes online due to the construction. I lived at this station for two years. 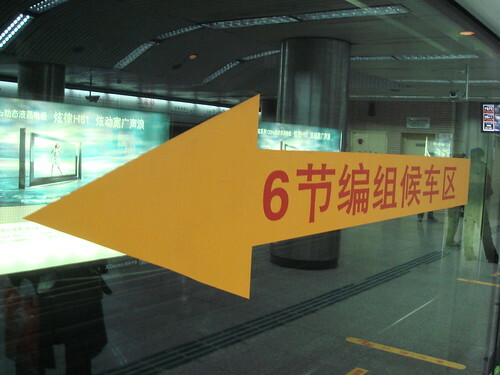 The Shanghai Ever Bright Exhibition and Conference Center is located at this station. There is nothing to see at this stop – it is very close to the downtown but not yet. IKEA – the largest IKEA in Asia is located at this station. The Shanghai Stadium and Shanghai Swimming Stadium is here. 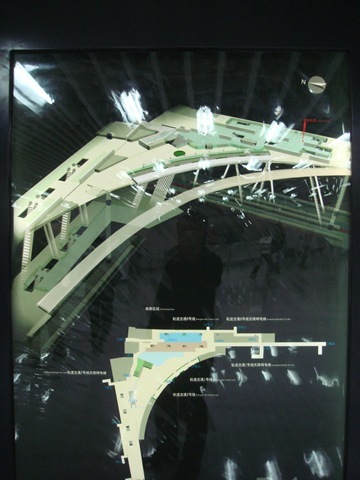 It is both a sports center in Shanghai (one of the four major sports centers) and the transportation hub. It has more bus lines than many other Metro stations. The Hua Ting Hotel, the first five-star hotel in Shanghai is at this station. This stop is also the transition stop to Metro Line #3. There is pretty long way to go to transit here. You have to buy separate ticket too. Xujiahui is what we call “downtown”. It is the commercial center of the south-west region of Shanghai. Large shopping malls, fashioned shops and all kinds of restaurants gathers at the square. In a 1 square meter area, there are two Starbucks stores, 4 KFCs, 2 PizzaHuts, and 2 McDonalds stores. These numbers reflect how intensive the business in that area is. See Xujiahui – Night or search for Xujiahui on this site. Xujiahui is more as a commercial center than a business center. I work at the Metro Tower of Xujiahui. On the tower are some famous companies like Microsoft, Yum Corp (KFC + PizzaHut + Tacobell). The Shanghai Jiao Tong University is also located near this station.